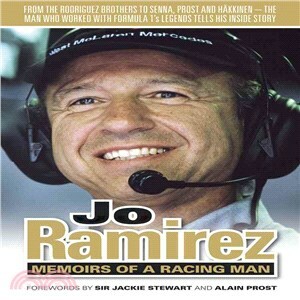 Jo Ramirez is one of the best-liked and most respected Formula One personalities of recent years, and is held in high esteem both inside and outside the Grand Prix paddock. Now available in paperback, here is his personal account of his life in motor racing, told with humour, warmth and joy, and providing an honest insight into the highs and lows of a career that saw him work with many of the sport’s greatest heroes, although he is perhaps best known for his many years as Team Co-ordinator at McLaren, including the legendary Prost/Senna era. Jo Ramirez is now enjoying his retirement, but keeps in touch with his many friends and former colleagues in motorsport. He divides his time between homes in London and Malaga.